Our classic microfiber furniture protector is better than ever! 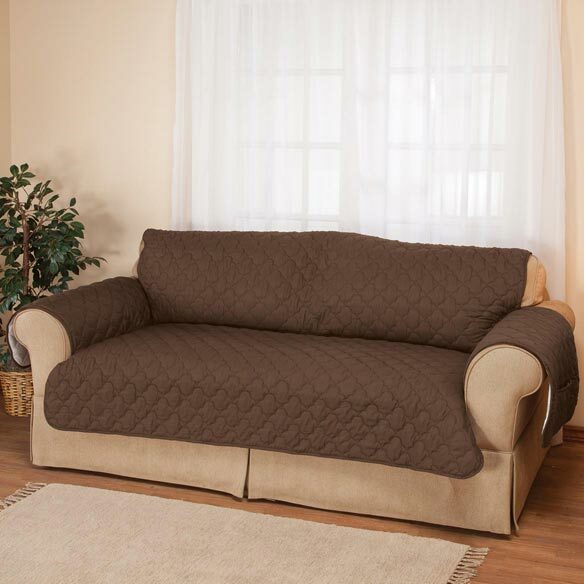 Crafted for quality, this soft, thick sofa cover features a new quilted pattern, straps to secure it in place, and pockets to store essentials within reach. 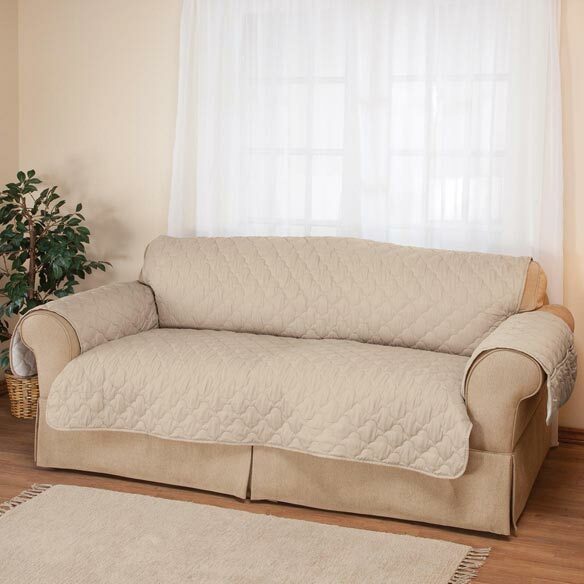 It provides the same great protection, with a water-repellent design to protect your furniture investment from spills and stains. Specify color: burgundy, beige, sage or chocolate. Seat is 36 1/2” long x 68” wide; back is 39” long x 68” wide. 100% polyester for easy care. Machine wash. The new OakRidge Deluxe Microfiber sofa cover looks great and with the straps for the back, really does stay where it should be. The old one I had, I had to adjust it every time I sat down and it got to be such a chore fighting with it to stay on the back of the couch. I would buy another one of these as it is worth every penny just for piece of mind.